We are pleased to share that our Waldorf Astoria Hotel & Residences Miami announcement from September 28th has received significant media coverage. Excitement has continued to build since the development’s partnership announcement was originally featured on Bloomberg and the Miami Herald, with further features appearing on news sites including Curbed, the South Florida Business Journal, BISNOW, and several Latin publications. Greybrook Realty Partners is partnering with New York-based developer Property Markets Group (PMG), and Hilton (NYSE: HLT) to bring the luxury Waldorf Astoria Hotels & Resorts to Miami – the first in the city. In addition to housing a five-star hotel, the property will also have private residences, retail components and is expected to become a top culinary destination for the South Florida city. 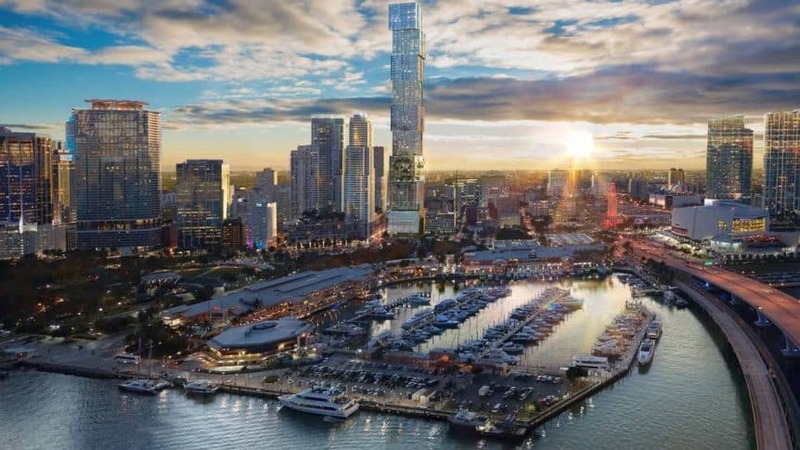 The 1,049 foot-high innovative development set to transform Miami’s skyline was designed by architect Sieger Suarez and conceptual architect Carlos Ott. Learn more about Waldorf Astoria Hotel & Residences Miami.